Des Moines' 80/35 fest lands Death Cab, Avett Brothers, Dinosaur Jr.
Des Moines’ hip little rock festival, the 80/35 fest, continues to make a big impression with its relatively eclectic and indie-centric lineups each year. The Avett Brothers, Death Cab for Cutie, Leftover Salmon, Dan Deacon, Spin magazine’s wild artist of the year F***ed Up, Freddie Gibbs and Leslie & the Lys are among the initial list of names confirmed for this year’s fifth annual shinding, happening July 6-7. The event is organized by the non-profit Greater Des Moines Music Coalition and takes place over three stages in downtown Des Moines’ Western Gateway Park, only four hours from the Twin Cities. Tickets are now on sale for $49.50 (two-day pass) or $29.50 (one day) via http://80-35.com/tickets. 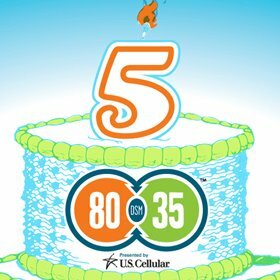 Performers over the first four years of the 80/35 – named after Des Moines’ intersecting interstate highways – have included the Flaming Lips, Modest Mouse, Public Enemy, Edward Sharpe & the Magnetic Zeros, Spoon and Drive-by Truckers. More names will be added to this year’s lineup, too. The 80/35 organizers smartly got the jump on Twin Cities promoters. Live Nation will finally announce the lineup for its June 23-24 festival on Harriet Island this Thursday at 2 p.m. in a formal ceremony with St. Paul Mayor Chris Coleman at the Science Museum of Minnesota. The Current and Walker Art Center will also make a public announcement of the June 16 Rock the Garden lineup at the Fitzgerald Theater on April 18 (the day tickets go on sale), a free 3-5 p.m. event open to everyone and featuring one of the five bands on the bill. Cities 97 and Sue McLean & Assoc. are also getting ready to reveal the lineup for the Basilica Block Party, which is happening the same weekend as 80/35, July 6-7. 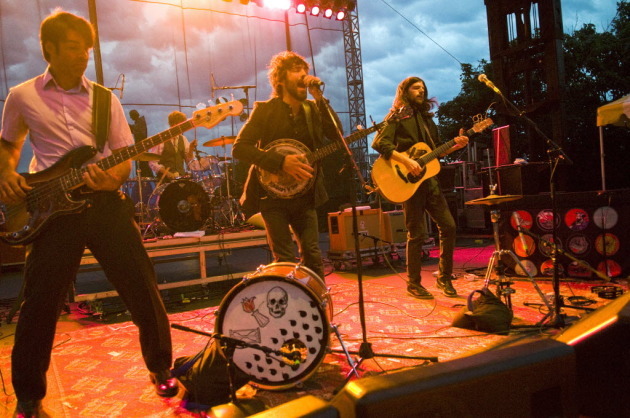 Rumor has it that the Avett Brothers will also be playing the Basilica bash once again, which would thus be on July 7 (since their 80/35 set is on July 6).